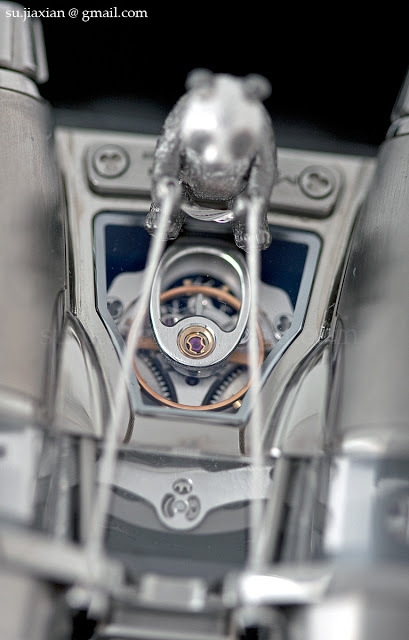 Created in collaboration with Chinese contemporary artist Huang Hankang, the MB&F HM4 Only Watch is a unique Horological Machine No. 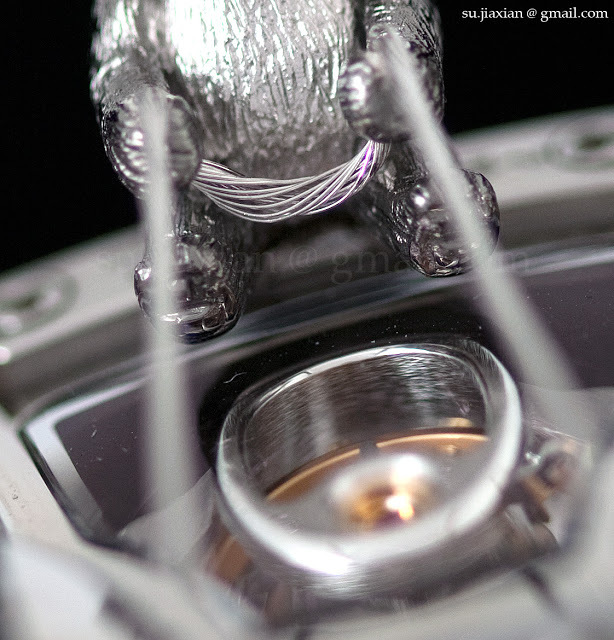 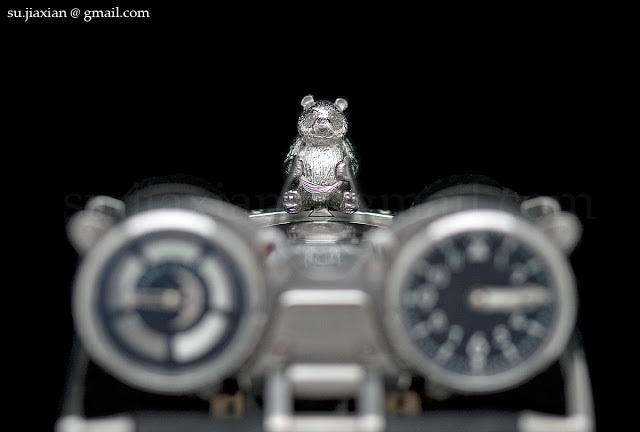 4 with a hand-engraved, white gold panda riding the machine. 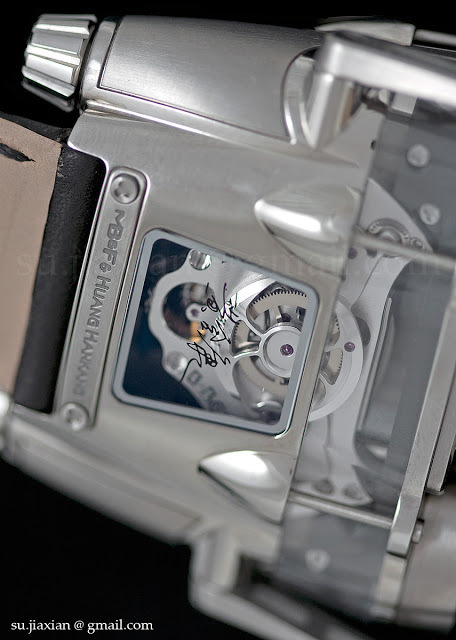 On the wrist this looks like a regular HM4, which already makes a tremendous statement in itself. 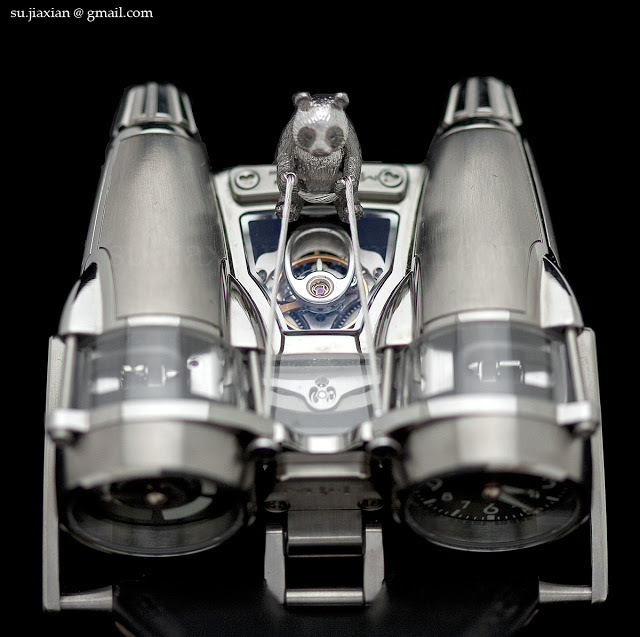 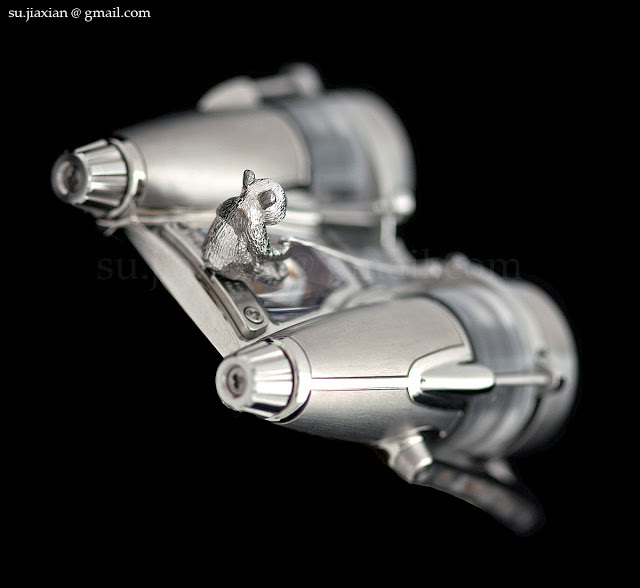 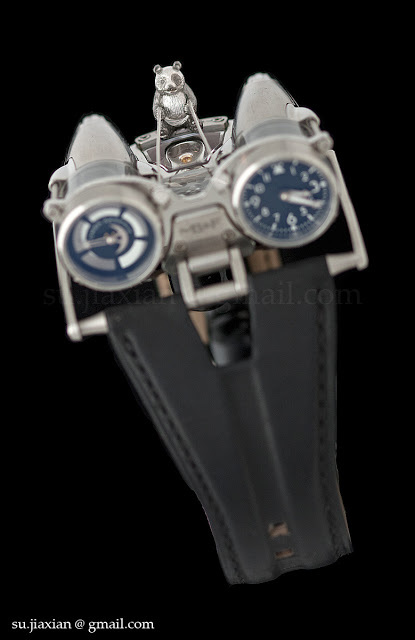 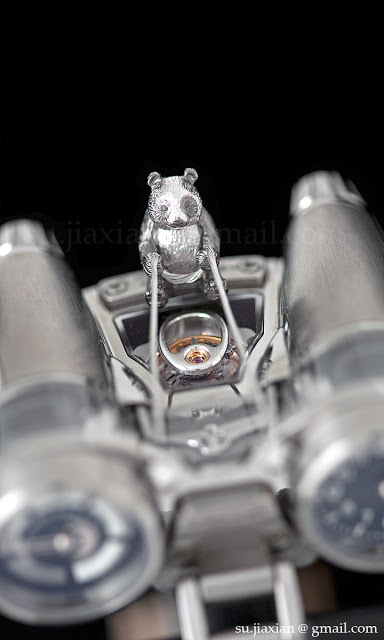 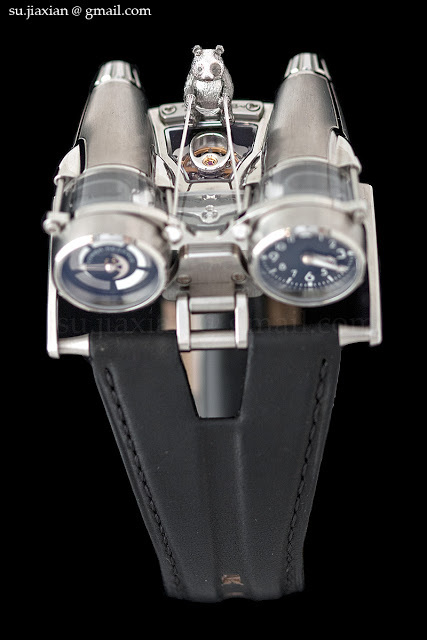 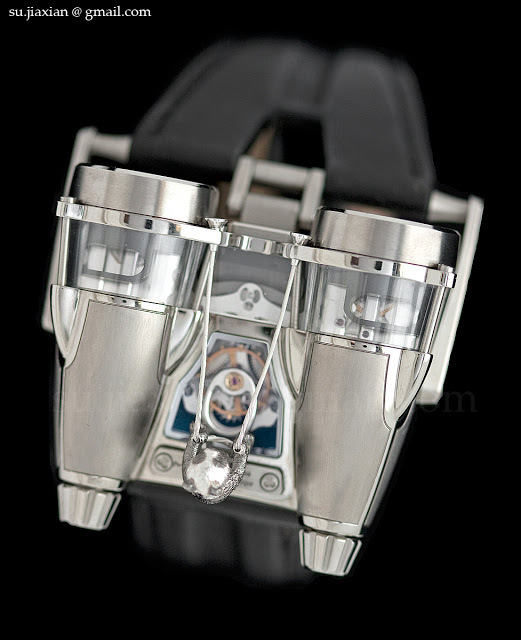 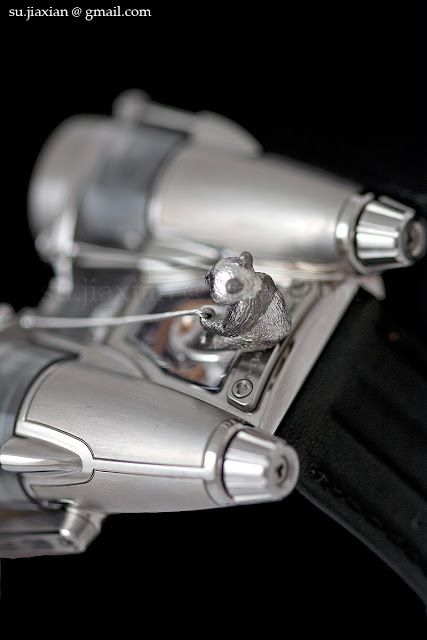 Shaped like the pod racer from Star Wars, the HM4 is the most radical Horological Machine from MB&F. 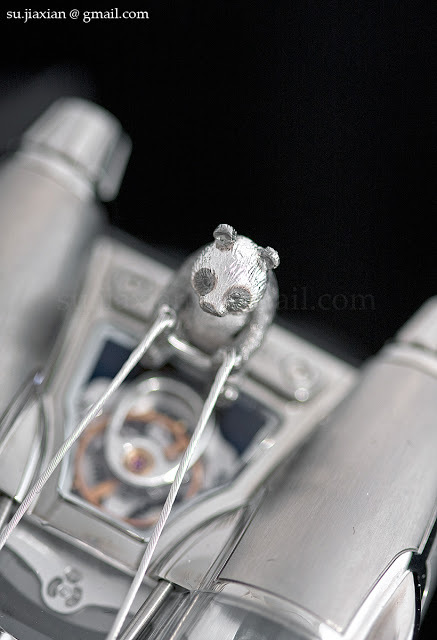 The panda is much less noticeable in the metal, and also much less toy-like. 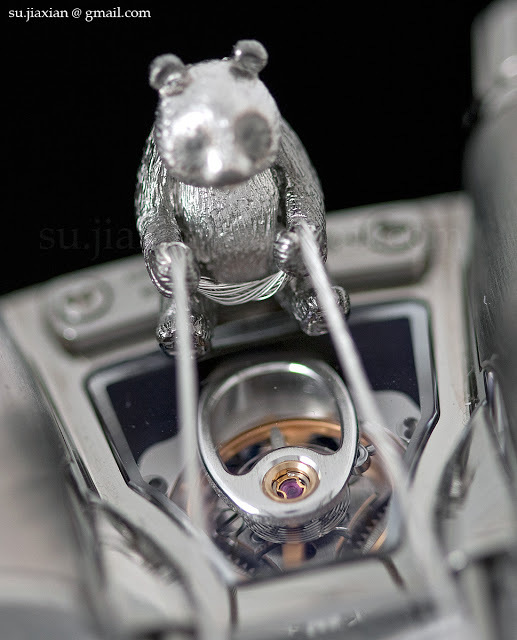 Up close, it is both amusing and entertaining. 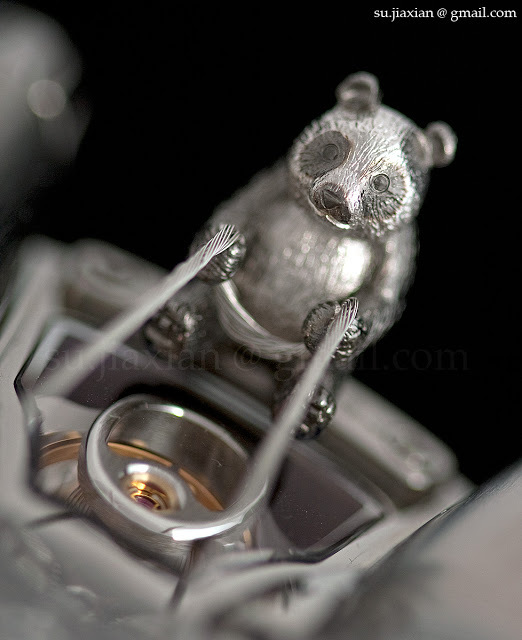 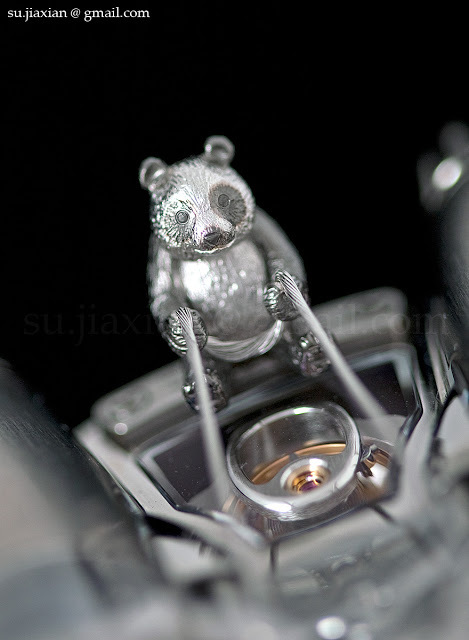 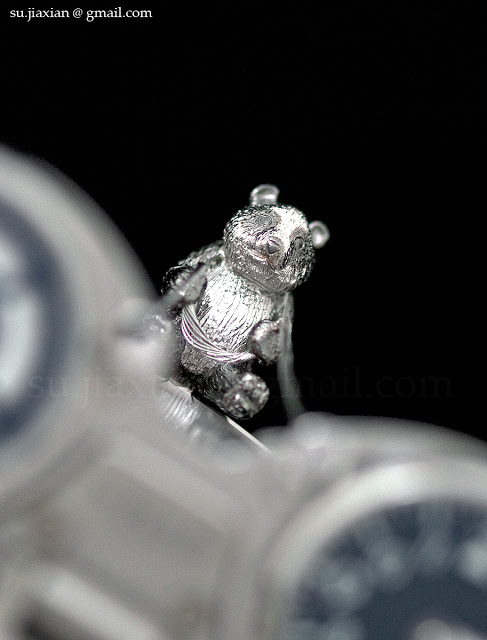 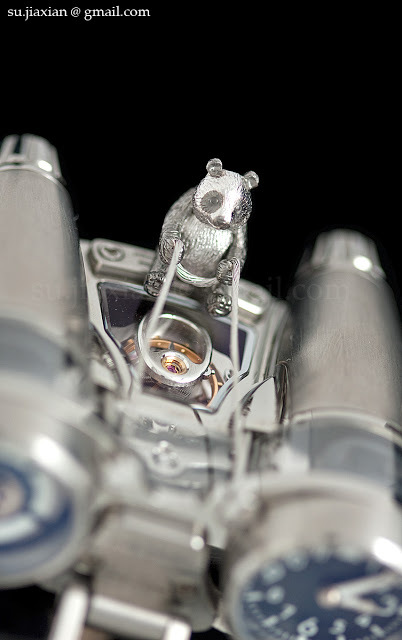 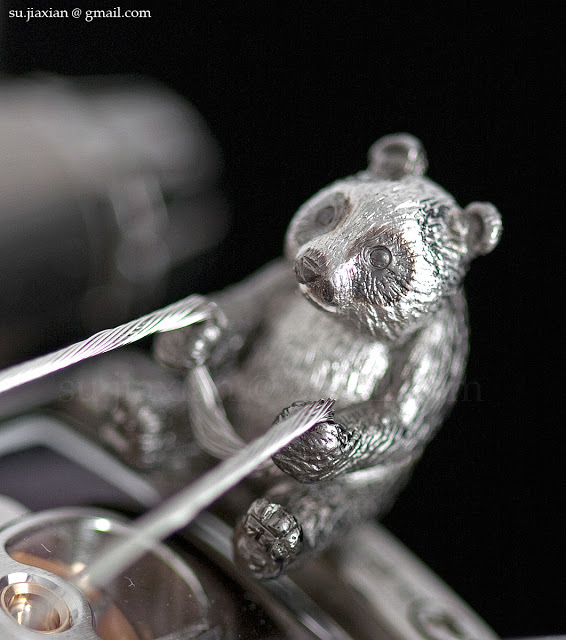 And the panda can be removed, turning the watch into an ordindary HM4. 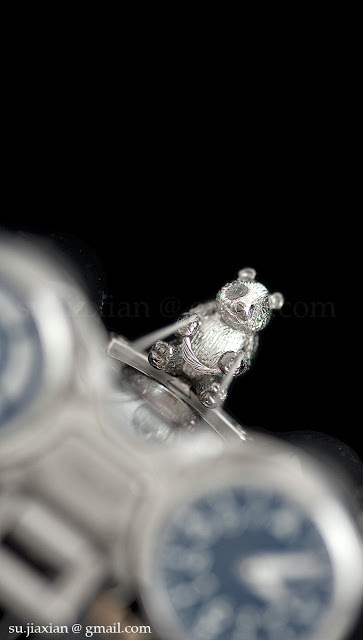 Interestingly the panda also has less contrast than the press photos, it’s silver and grey, rather than silver and black.